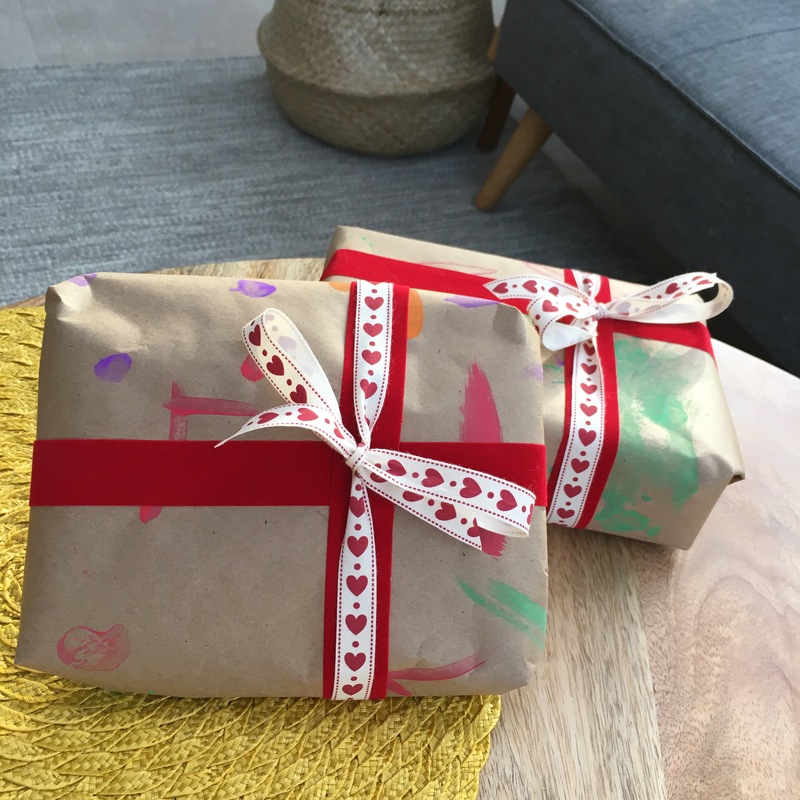 There are lots of very beautiful homemade wrapping paper ideas out there, with stamps and marbling and excellent results… but I have 4 children and limited time, so when I saw this simple idea, I was keen to give it a go. Mine was crafted entirely unknowingly by a 4 and 2 year old, whilst in the business of some regular painting. The ultimate Smug and Lazy craft.